Get rid of your unused trucks today! You do not have to worry about what condition your truck is in; we take anything no matter how damaged it is. Recycling trucks is a passion of ours and we offer a high price for your unwanted trucks in order to make that recycling possible. Our Truck Wreckers Dubbo team will literally do the heavy lifting for you. Our cash for trucks team of experts are well trained and highly experienced in handling truck removal in Dubbo efficiently and quickly. Get a quote for your unwanted truck today and have our Truck Wreckers Dubbo team come over and hand you your cash and get your truck off your property – all on the same day! Even if your truck is old and you’ve been given a reasonable quote elsewhere, give us a call as we guarantee to beat everyone else’s quote. We’ve been in the truck salvage business for so long that we have a massive network of buyers who will want your truck. All you need to do is give us a call, tell us what truck you have, and our team will be right on over in a few minutes to pay you cash in hand and take your vehicle away. We also pay cash for scrap trucks and unwanted trucks too. What are you waiting for? Give us a call now on 0401 009 994, and you’ll have your cash in hand in a matter of minutes! What make TOPCASHFORTRUCK the most responsive and reliable truck cash buyers? Top Cash for Truck is a well licensed and insured truck buying expert team. We allow unwanted commercial vehicle owners an amazing opportunity to enjoy an easy, straight forward and fast sale process. Our cash offers can be easily obtained over the phone or through the inquiry form given here on the site. We have the professionals that offer the opportunity to sell your personal or commercial vehicles without having to lift a solitary finger. Check out our service areas for more details. Best of all, we are the Sydney NSW truck wreckers that buy all prominent brands including Ford, Dyna, Mack, Fuso, Isuzu, Hino, Volvo, Freightliner, Mitsubishi, Mercedes Benz and many more. You do not need to worry whether we will refuse to buy your vehicle due to its manufacturer or not. We will gladly buy automobile of every age, model and condition. When scrapping your unwanted automobile, it is important to employ the services of a proficient specialist like Truck Wreckers Dubbo. We are the scrap truck buyers that adheres to the green standards of wrecking automobiles. This is because we specialize in safely auto wrecking, recycling and disposing old automobiles. Our junk truck disposal services are quick and convenient. As we don’t require that customers to wait around for us to recycle their automobiles. Before they get the cash payment. We are able to pass on maximum cash to our Dubbo customers, with all the parts and steel being extracted and recycled from their heavy vehicles. Our crew can come to your Dubbo location. We pay cash for your vehicle before we load it onto our transporter vehicle. Get a fair and accurate price for your truck of any make and condition. Call Truck Wreckers Dubbo at 0401 009 994. This entry was posted in scrap trucks NSW and tagged 4x4 wreckers Dubbo, cash for trucks Dubbo, commercial truck salvage Dubbo, Dyna Truck Wreckers Dubbo, Fuso Truck Wreckers Dubbo, Hino Truck Wreckers Dubbo, Isuzu Truck Wreckers Dubbo, MACK Truck Wreckers Dubbo, Mercedes Truck Wreckers Dubbo, Mitsubishi Truck Wreckers Dubbo, sell my old truck near Dubbo, sell my truck for cash Dubbo, Truck Wreckers Dubbo 2830, Truck Wreckers Dubbo Australia, Truck Wreckers Dubbo NSW, Volvo Truck Wreckers Dubbo on February 27, 2019 by Topcash. Look no further for the perfect way to dispose of your unwanted van or truck in Randwick as we are the best Commercial Wreckers Randwick. We offer cash for old trucks, including free same day pickup, in a 200km radius around Sydney, call us today 0401 009 994. We buy used trucks and transport them so that you don’t have to, other truck wreckers in Sydney can’t come close to the high quality of service we have to offer. We can offer you up to $19000 cash for trucks, including free truck removal. Commercial Wreckers Randwick take all makes and models, offering cash for old trucks that are otherwise just taking up space and causing you inconvenience. Other auto wreckers can offer various benefits and removal styles, but we can offer some of the best service and convenience among these truck wreckers in Randwick. We buy used trucks seven days a week and we don’t charge for truck removal service. 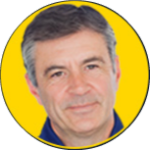 There are only a few places in Sydney who give you the opportunity to sell your truck with just one call. And TOPCASHFORTRUCK is one of them. We don’t required your truck to be in running order or registered. We just need truck. Leading Commercial Wreckers Randwick So we can just tell you here that we offer up to $19000 for all sort of trucks depending. And we believe in our quotes and we can proudly say you that our prices are unbeatable. That is why we are also called as top paying and top buying company in Randwick. We are buying all Japanese, European, American and Chinese used, old, junk, unwanted and scrap trucks from last decade. So if you want to sell your truck without any trouble, then give us a buzz on 0401 009 994. Cash for all old, scrap, junk, damaged truck. Cash for all Truck makes and models e.g Ford, BMW, Nissan, Hino, Volvo, Toyota, Isuzu, Man, Mazda, Mitsubishi, Mercedes Benz etc. Cash for all trucks of any year in any condition i.e. dead or alive, running or not running. Find your local truck dismantler outside NSW: Melbourne Truck Buyer and Perth Truck Buyer. This entry was posted in scrap trucks NSW and tagged Commercial Truck buyers, Commercial Truck Dismantlers, Commercial Truck Dismantlers Bondi, Commercial Truck Dismantlers East Sydney, Commercial Truck Dismantlers Fuso, Commercial Truck Dismantlers Hino, Commercial Truck Dismantlers Isuzu, Commercial Truck Dismantlers Man, Commercial Truck Dismantlers Mercedes, Commercial Truck Dismantlers Mitsubishi, Commercial Truck Dismantlers Randwick, Commercial Truck scrap, Commercial Truck wreckers, Commercial Vehicle Wreckers, Hyundai iLoad parts, iMax Van parts, LDV Vans parts, Mazda Bongo parts, Mitsubishi L300 parts, Motorvan wreckers, old motorhome buyers Randwick, Toyota Hiace on November 11, 2018 by Topcash. Are you not sure what to do with that old commercial vehicle? You don’t have to loose your peaceful night’s sleep anymore. You will be able to get rid of your van or other commercial vehicle easily. We will offer you a on the spot price and take your van for cash. 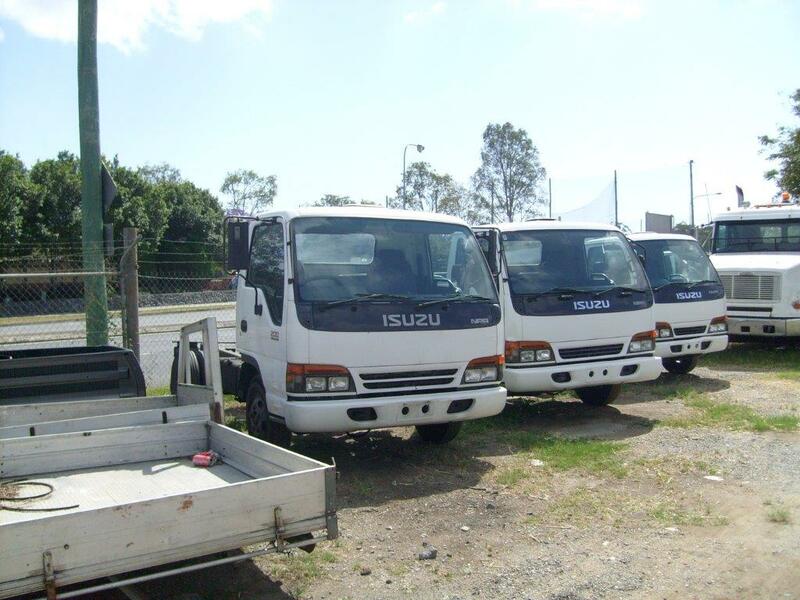 You need not have to approach numerous van dealers with our Commercial Wreckers Bowral service. We will take your van irrespective of the condition. We specialize in buying every type of commercial vehicle, new or old, dead or alive, including but not limited to; Vans, Trucks, Lorries, Lutons, Busses, Plant Trucks, 4×4’s, Ambulances, Articulated Lorries (HGV) and Motor homes/Camper Vans in the areas listed below, please contact us as we can always make arrangements for you in your area. No mater what age or condition your van, car or vehicle is Commercial Wreckers Bowral will make an on the spot cash offer and collect the same day between 7am to 7pm in most cases, operating 7 days a week including public holidays. Established for over 10 years we have thrived on building a successful name of quality, being courteous and punctual. We aim to beat any quote you may have received already, and unlike many other companies we stick to the original offer without bidding you down upon collection. If you have any light or commercial vehicle, we also dismantles and recycle those as well, simply call us to get your vehicle removed and have them converted into cash! top cash for truck is the leading scrap truck removal in Bowral, reaching out to any type of vehicle in any conditions. This is why we are considered to be NSW’s leading Truck wreckers. offer you will find very hard to beat! There are instances that commercial truck owners in Bowral are not attempting to sell their trucks since they are afraid that they may spend huge amount from removing it and carrying it to the wrecking yard or depot of the company. At Commercial Wreckers Bowral, we are offering removal services of commercial trucks for free. We offer same day free removal and cash for your commercial trucks in Bowral. So, what are you waiting for? Don’t miss the chance to choose us for cash for commercial truck today! We assure you that you will not regret choosing us because of the amazing and high quality services we offer. So, choose us at Commercial Wreckers Bowral today for your cash for commercial truck needs!! This entry was posted in scrap trucks NSW and tagged 4×4’s, Ambulances, Articulated Lorries (HGV) and Motor homes/Camper Vans, Bus, Bus Wreckers Bowral, Busses, Commercial Wreckers Bowral, Isuzu Commercial Wreckers Bowral, Lorries, Lutons, old truck removal, old trucks buyer, Plant Trucks, scrap truck, scrap truck buyers Bowral, sell my truck, Sell My Truck NSW, Sell Your Unwanted Van, Toyota Commercial Wreckers Bowral, Truck, truck salvage, truck Wreckers Bowral, Trucks, van Wreckers Bowral, Vans on October 5, 2017 by Topcash.